Congratulations to photography Instructor, Melissa Dettlinger, and students, Carolyn Basham, Stacey Rudy, and Danielle Torres! All were recognized at the Chancellor’s Award Luncheon on Friday, April 19, 2013. 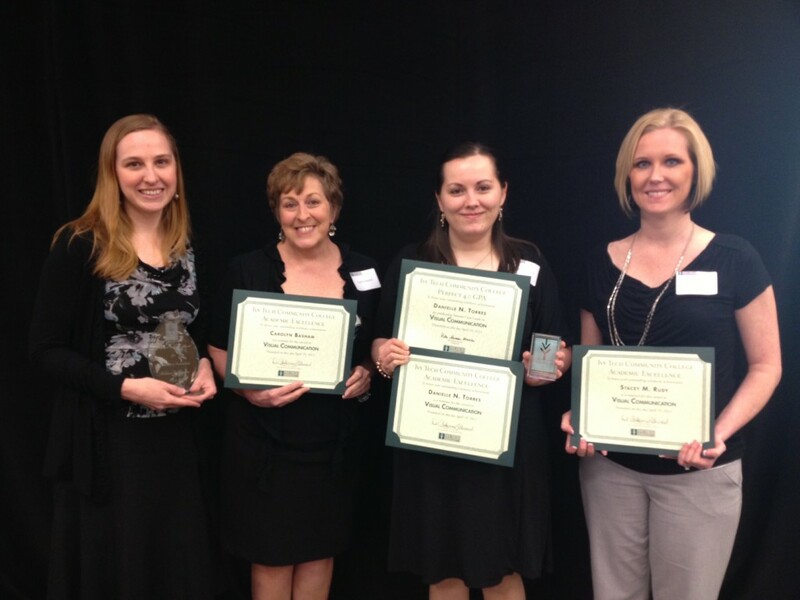 Melissa Dettlinger, “Adjunct Faculty Award for Excellence in Instruction” award recipient; student, Carolyn Basham, Academic Excellence Award Nominee; student, Danielle Torres, Perfect 4.0 GPA Award recipient and Academic Excellence Award Nominee and Recipient; and student, Stacey Rudy, Academic Excellence Award Nominee at the Chancellor’s Award Luncheon at Ivy Tech Southern Indiana on Friday, April 19, 2013. 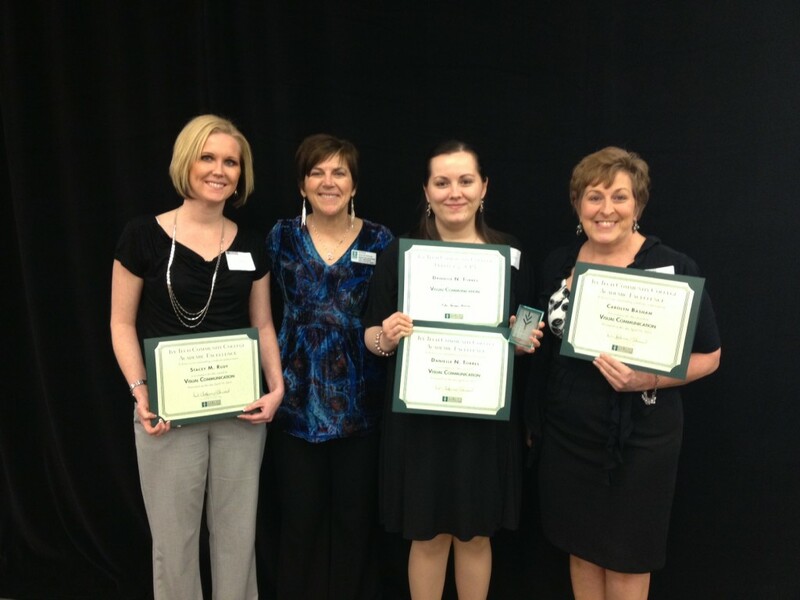 Student, Stacey Rudy, Academic Excellence Award Nominee; Program Chair, Susan Mackowiak; student, Danielle Torres, Perfect 4.0 GPA Award recipient and Academic Excellence Award Nominee and Recipient; and student, Carolyn Basham, Academic Excellence Award Nominee at Ivy Tech Southern Indiana on Friday, April 19, 2013. 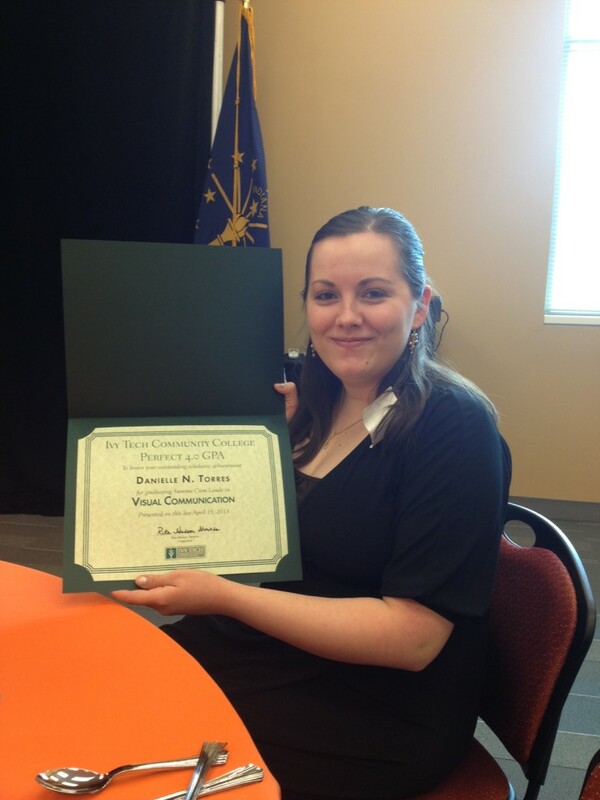 Student, Danielle Torres, receives the Perfect 4.0 GPA award at the Chancellor’s Award Luncheon at Ivy Tech Southern Indiana on Friday, April 19, 2013. 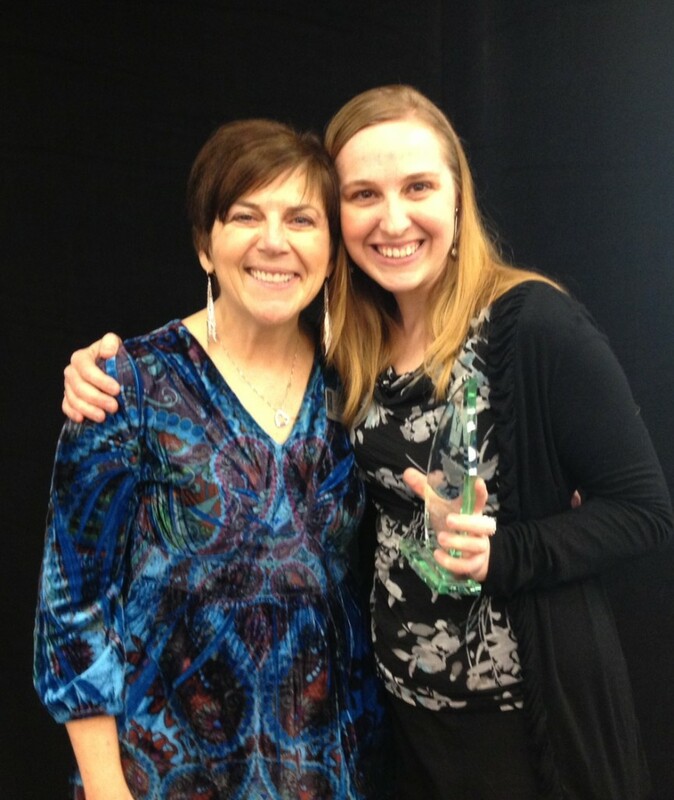 Program Chair, Susan Mackowiak, and adjunct faculty, Melissa Dettlinger, celebrate Melissa’s “Adjunct Faculty Award for Excellence in Instruction” at the Chancellor’s Award Luncheon at Ivy Tech Southern Indiana on Friday, April 19, 2013. Visual Communication program is now NASAD accredited!! !